Researchers from Woods Hole Oceanographic Institution and Royal Netherlands Institute for Sea Research are conducting fieldwork and laboratory experiments to provide the essential data needed to estimate the risk associated with microplastic ingestion by sea scallops in the Mid-Atlantic Bight and Georges Bank, one of the most highly-valued commercial fisheries in the continental United States. 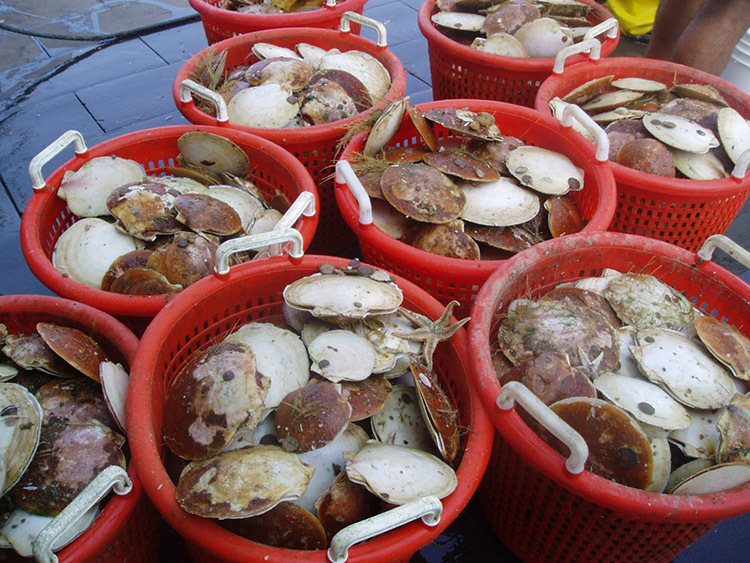 This project will focus on rates of movement of microplastics from the sea surface to the seafloor, whether these plastics are ingested by the sea scallops, and if so, do the microplastics influence scallop fitness and health. Additionally, researchers will examine whether microplastics coated with bacteria have the ability to transfer bacteria to the scallops. Finally, the researchers will compile all of this information into an ecological risk assessment, which will provide important data to help resource managers and policy makers preserve this fishery. 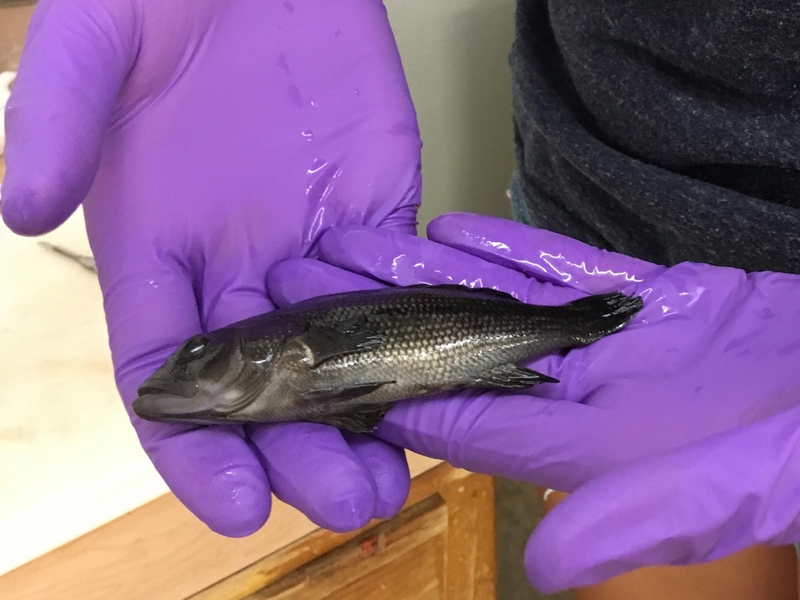 At the University of North Carolina Wilmington (Department of Biology & Marine Biology and Department of Chemistry & Biochemistry), North Carolina State University and Oregon State University, researchers are investigating if black sea bass ingest contaminated microplastics in the wild. Microplastics can transport and leach chemical pollutants such as plasticizers and flame retardants that are added during plastic production. Because of their small size, some animals may mistake the microplastics for food. 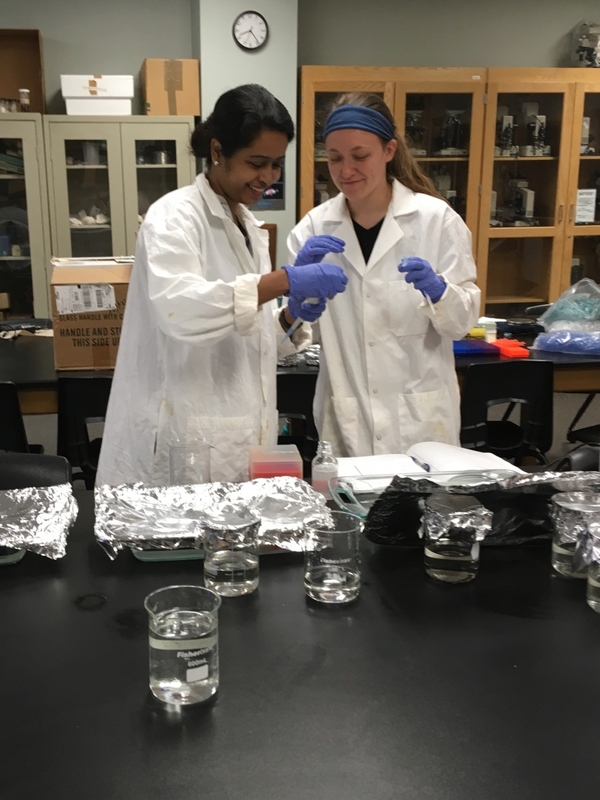 Through this project, researchers will experimentally track fish gut contents to better understand if ingested microplastics and associated contaminants are transferred from prey to larval and juvenile black sea bass. They will also track and time how long it takes a contaminated plastic pellet to travel through the digestive tract of a black sea bass. This project will help increase our understanding of the effects of microplastics on these species and transfer up the food web. Eastern oysters are one of the most important bivalve species on the east and Gulf coasts of the United States, supporting large aquaculture and fishery industries. Researchers at the University of Connecticut are working to document which characteristics of microplastics (i.e., shape, size, surface charge) lead to ingestion versus rejection by these oysters in Long Island Sound, and if ingested, the resulting impacts to the oyster digestive system. Additionally, researchers will develop a model to predict which types of microplastics are likely to be ingested by oysters. 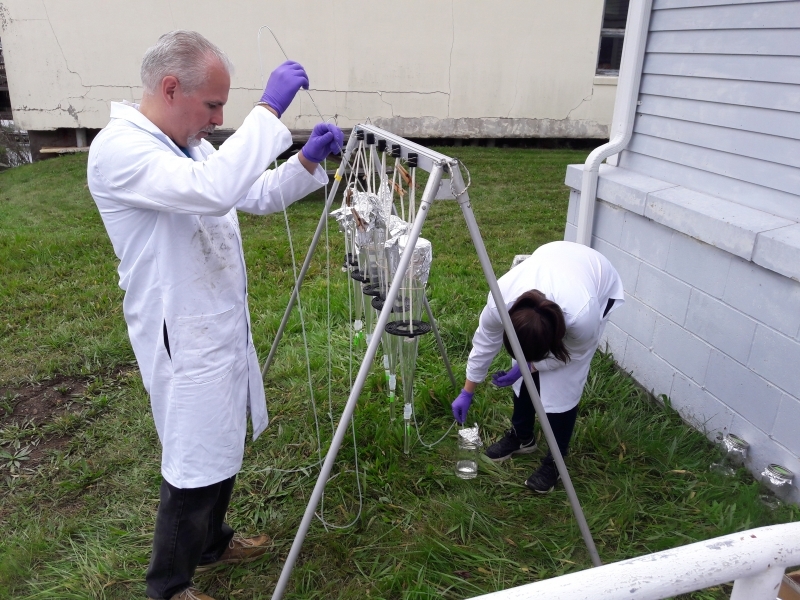 Researchers from Arizona State University are working in the field to determine the toxicological impacts from microplastics and associated contaminants present in locally-consumed bivalves and fish species in American Samoa. This project will provide a framework for assessing the risk of microplastics to wild-caught species in areas where there is limited data. The results of this project will also inform ongoing environmental regulation, educational outreach, and marine conservation efforts in American Samoa, where seafood provides an important source of protein. The State of Pennsylvania needs guidelines, best management practices, and enforcement by the EPA to address spills of microplastics in marine headwaters. We had a major nurdle spill on 3/31/18 in the headwater of Pocono Creek, and nurdles were found many miles downstream. These nurdles will end up in the Delaware Bay and the Atlantic. Because there is no immediate contamination to humans, there are no actions required of the PA Department of Environmental Protection or the EPA. Therefore, we need, at a minimum, regulations to require documentation of possible and obvious spills, to document the path of the microplastic pellets, and requirements for transporters to prevent such spills. No regulations or best management practices now exist in PA.